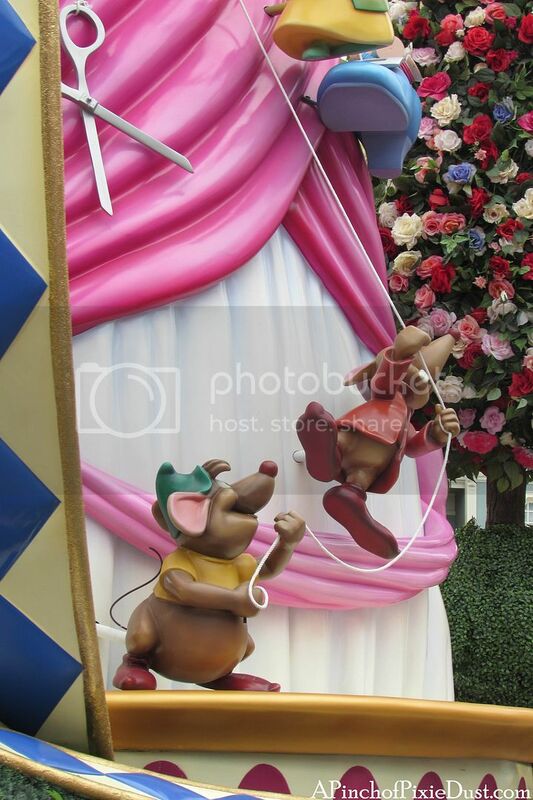 ...Cinderella's pink dress being constructed by her friends, the mice and birds. 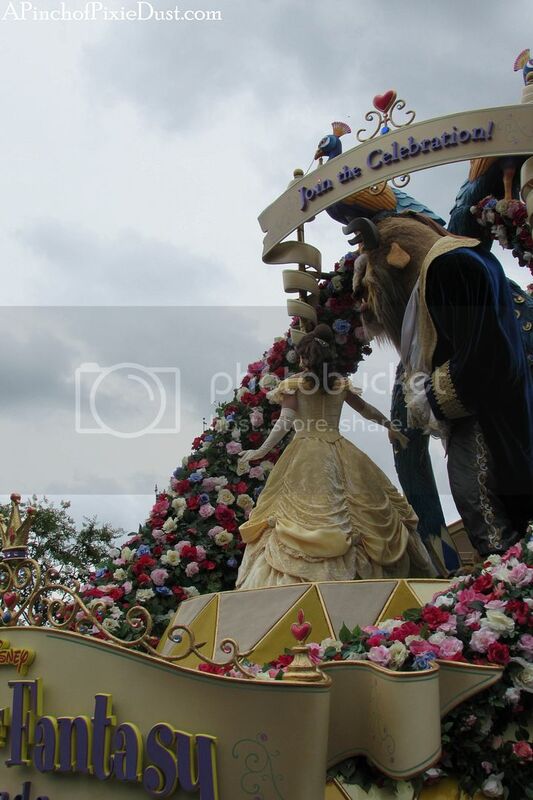 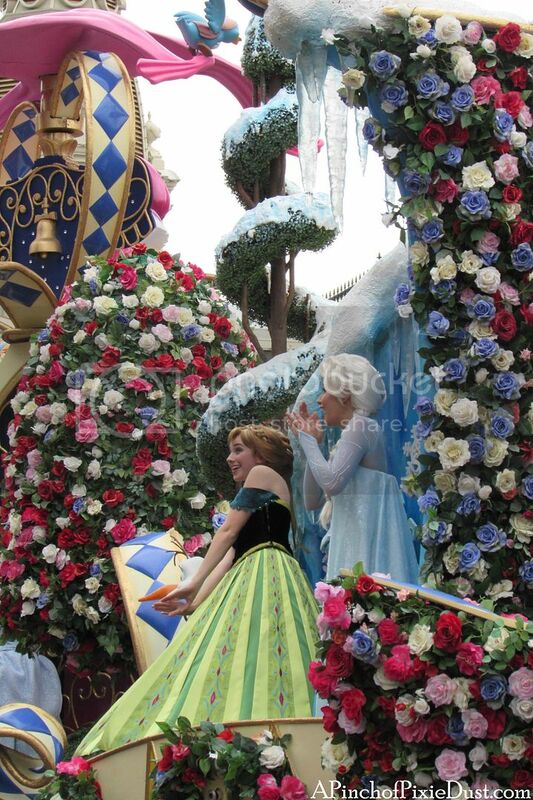 This dress is larger than life and such a fun element of the parade. 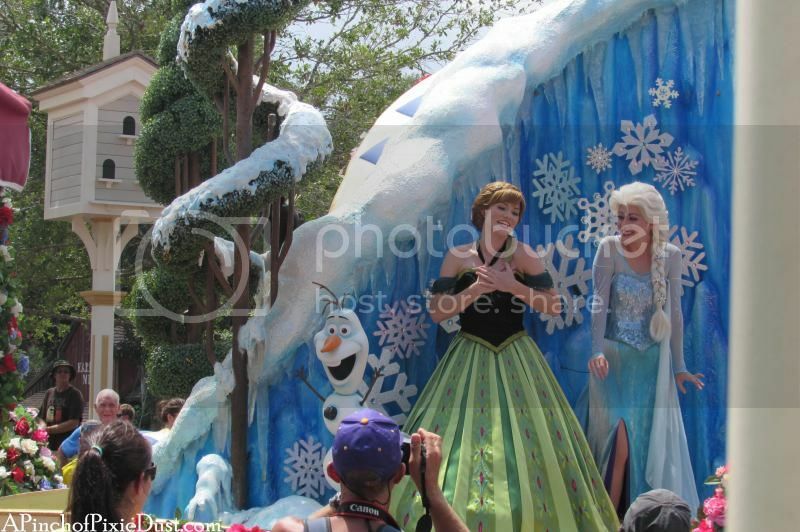 Even if you don't have a curbside seat and are looking from a distance through a sea of heads, you can't miss it! 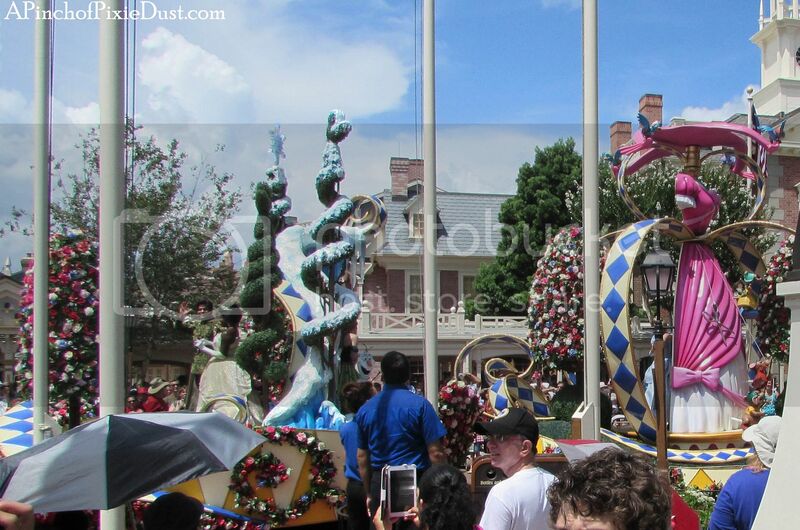 We watched Festival of Fantasy from Liberty Square, and it was so cool to watch this float curve around towards the hub, to see it from different angles. 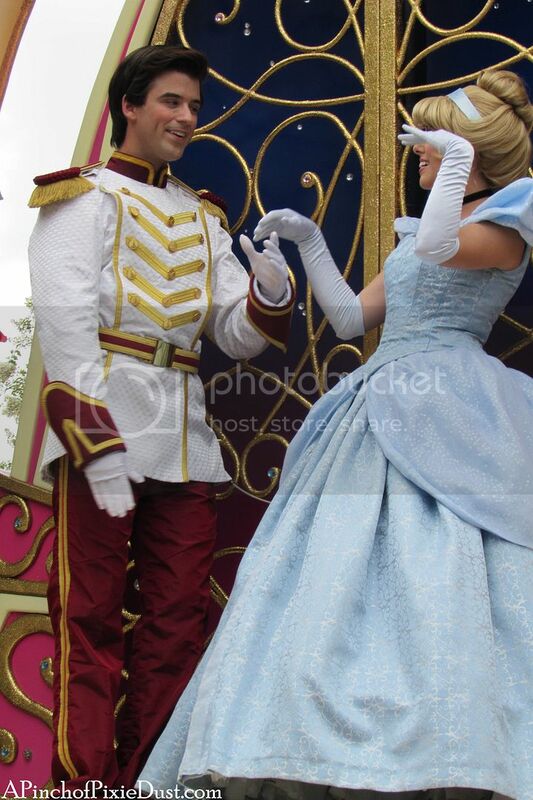 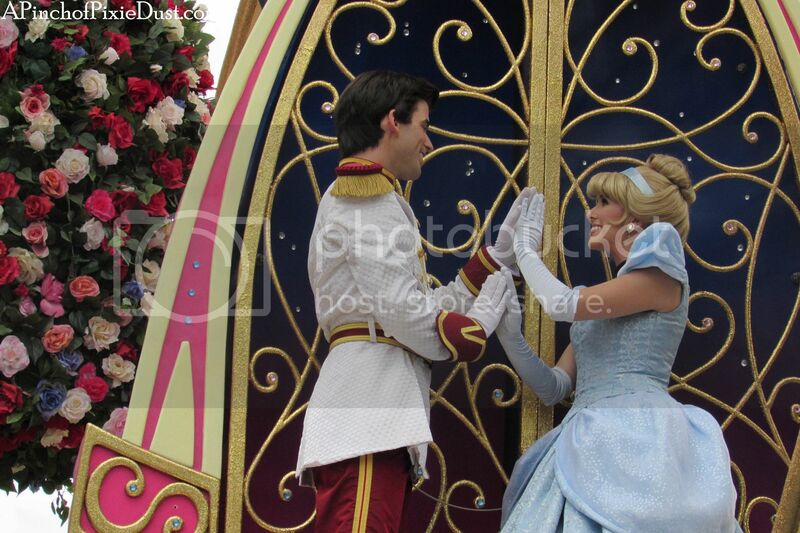 Cinderella and her Prince Charming! 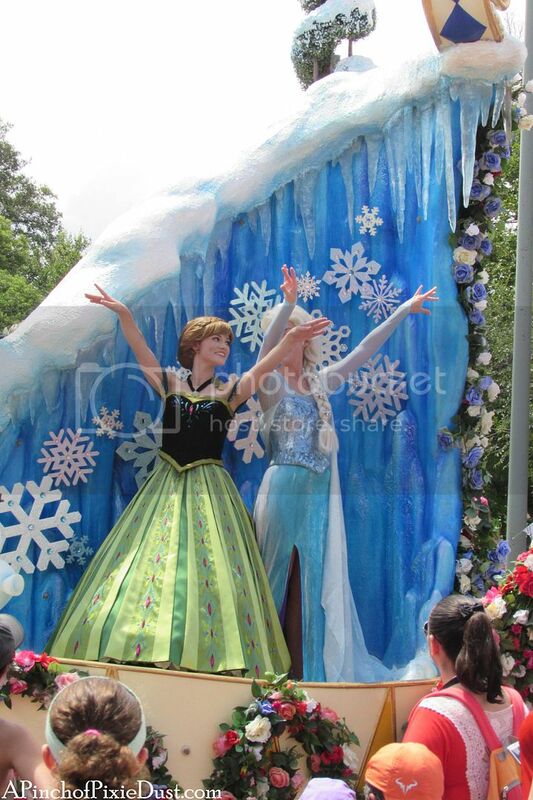 These two are so sweet...although I was so busy trying to take in the rest of the huge float and all the details, I almost missed them. 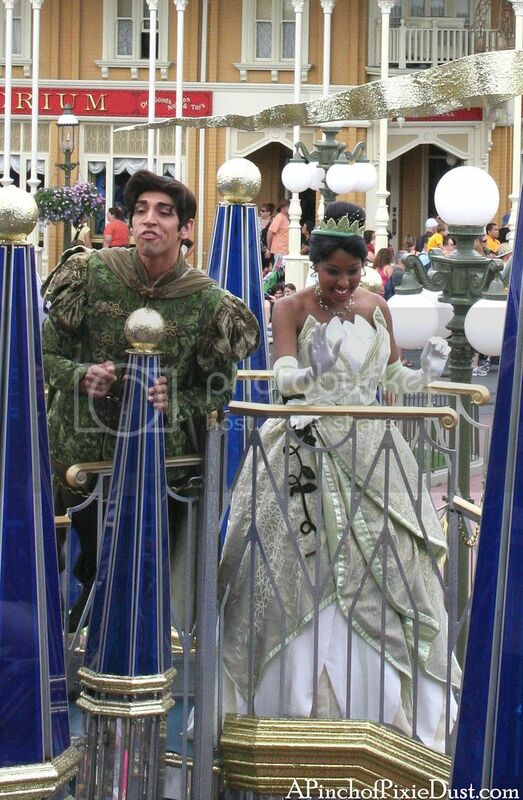 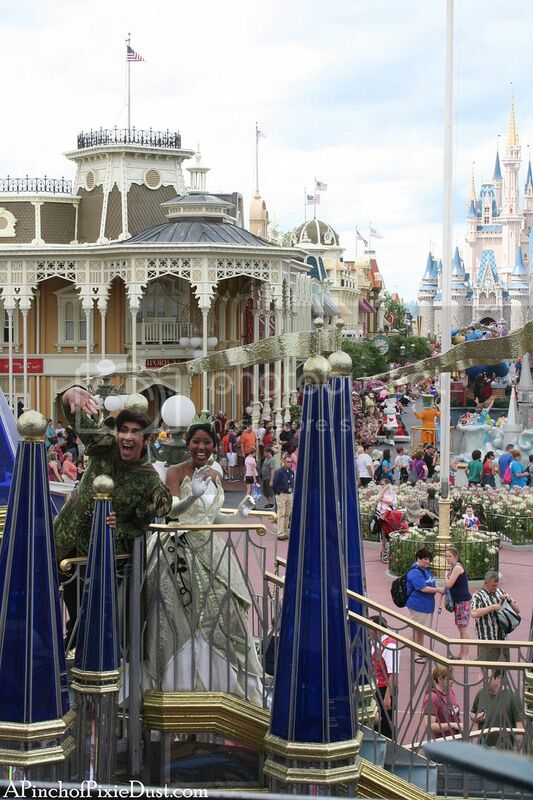 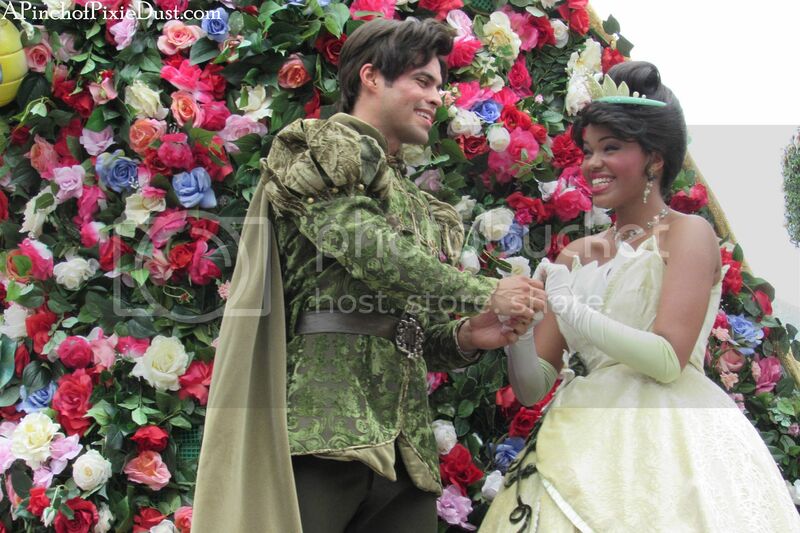 Following Cinderella is a rotating stage with Tiana and Naveen on one side and the Frozen girls on the other. 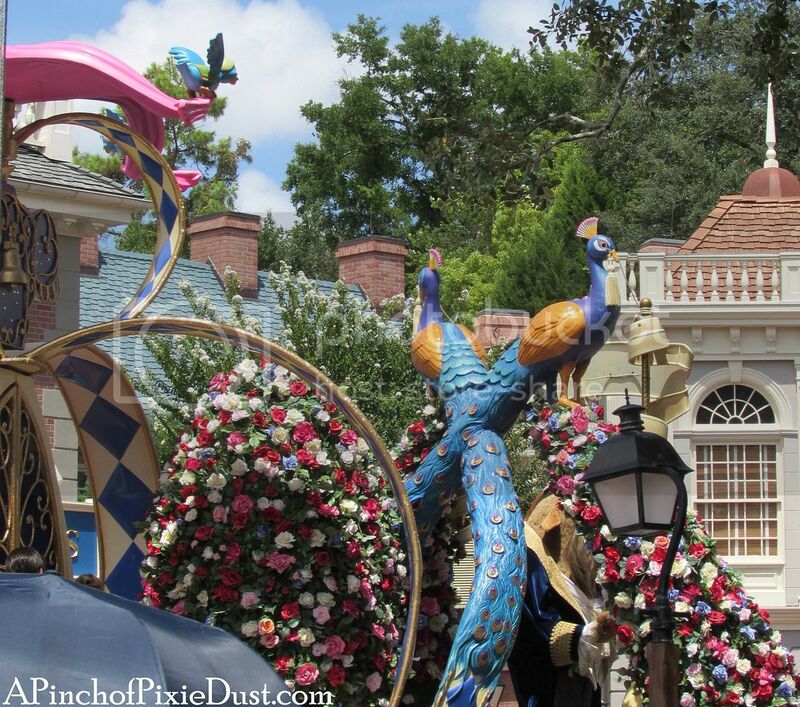 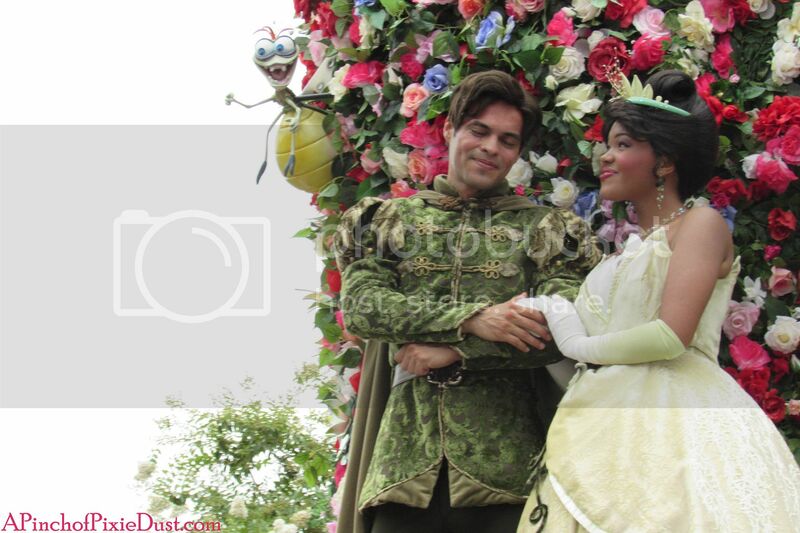 I didn't notice at the time, but there's Ray from The Princess and the Frog hanging out in the flowers! 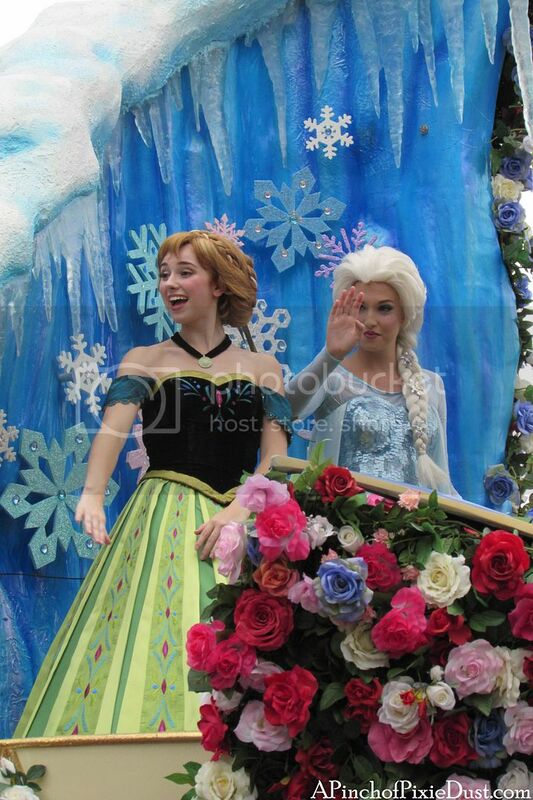 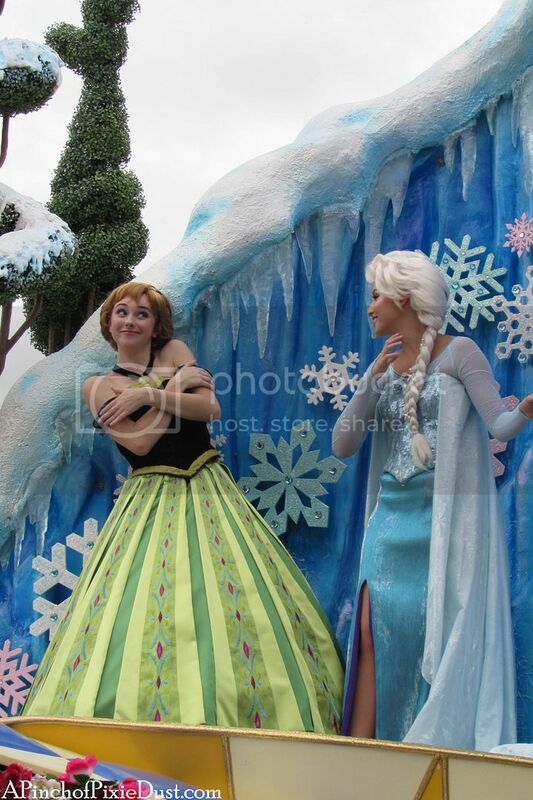 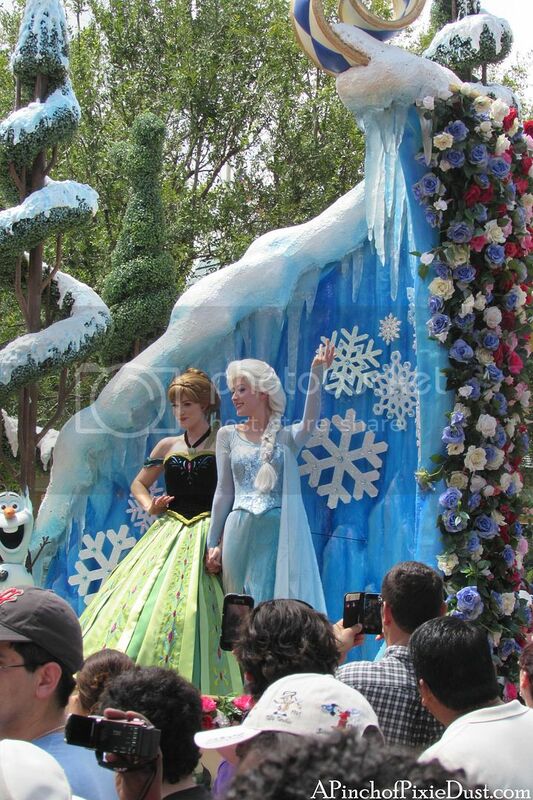 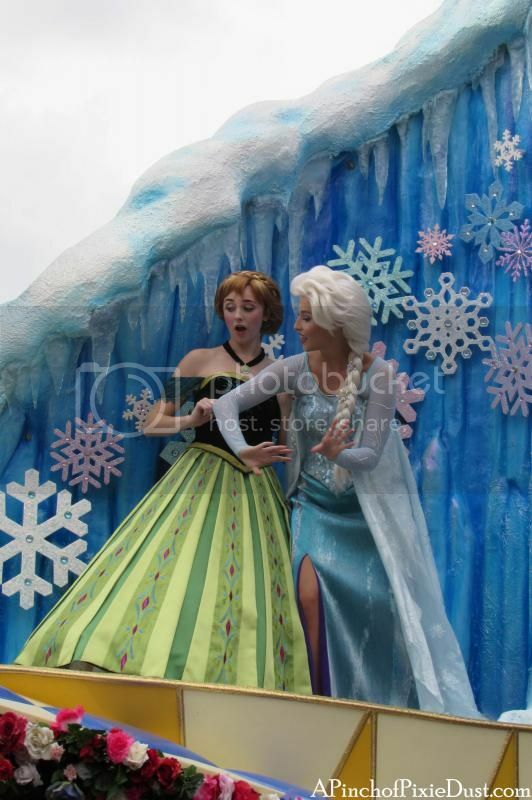 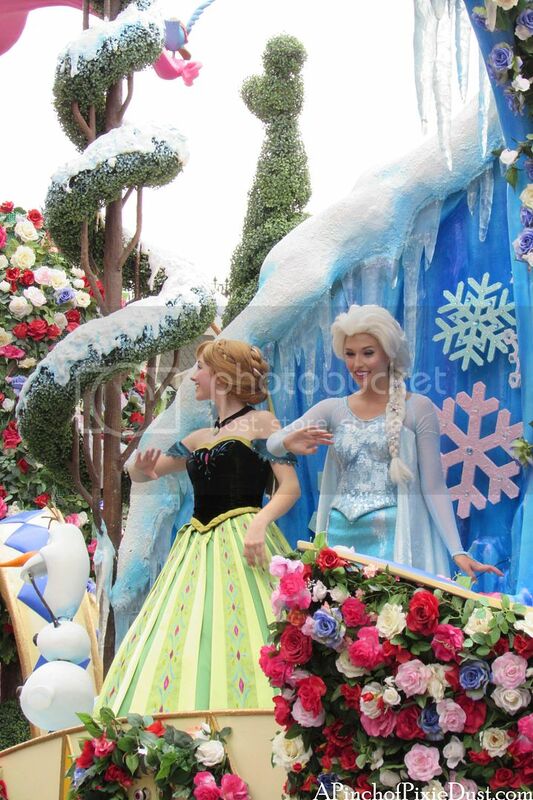 Anna and Elsa are standing against an icy backdrop on the other side of the rotating stage. 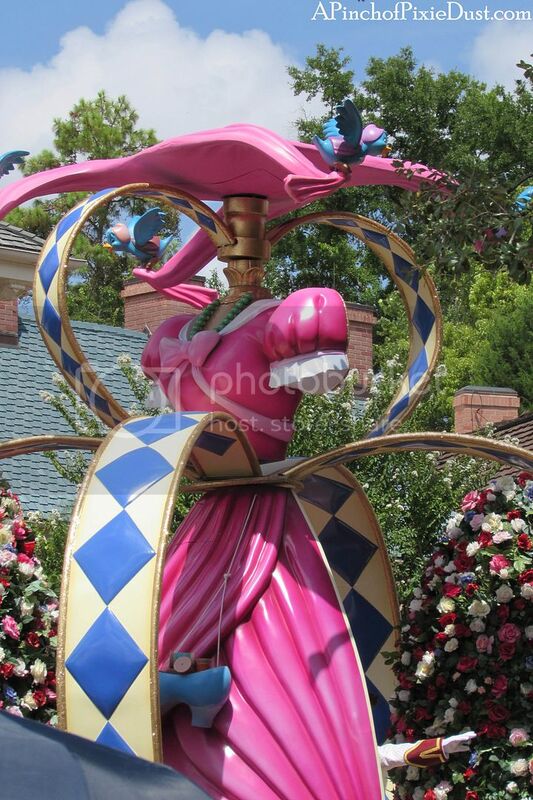 I wonder if they ever get dizzy! 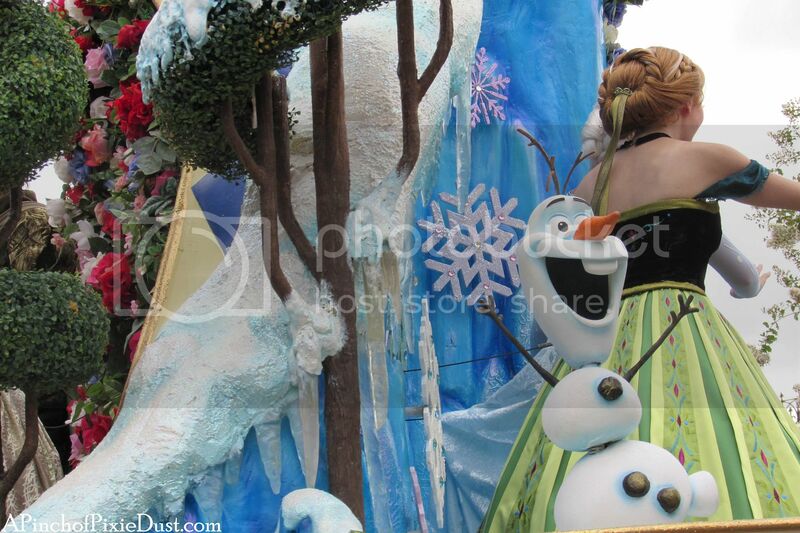 Olaf is representing next to the Arendelle sisters! 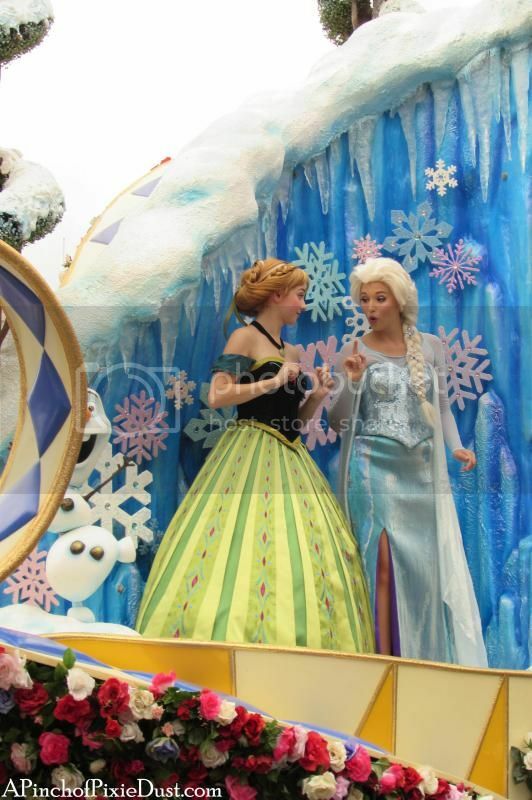 The fact that the stage rotates means you might lose sight of Anna and Elsa (or Tiana and Naveen) for a minute or two, but when they come back into view, it's fun to see the stage and characters from so many different angles, set against different frames! 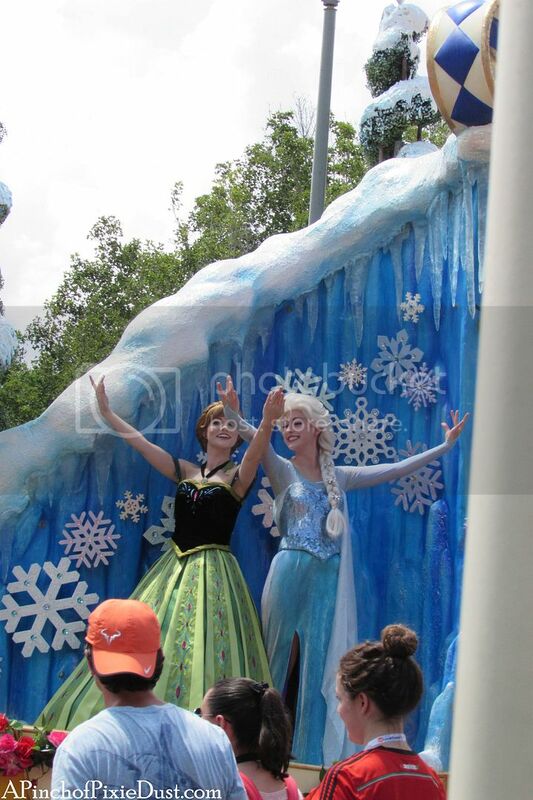 One last picture perfect pose! 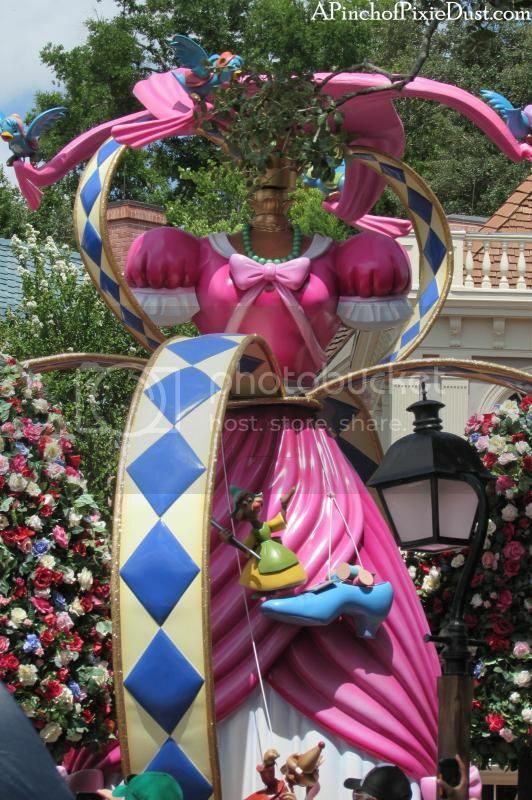 Hope it's a fabulous Friday!